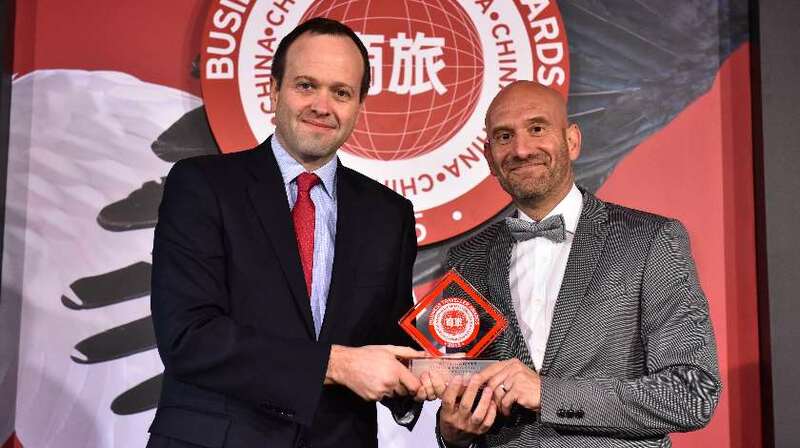 Qatar Airways has once again been named Best Middle East Airline Serving China at the 2015 Business Traveller China Awards, picking up the award for the fourth consecutive year. Mr. Paul Johannes, Vice President of Qatar Airways North Asia, accepted the award at the ceremony held in Beijing on Friday night, which gathered leading players from the aviation, travel and trade industries, recognising their efforts and dedication to the industry. Qatar Airways started operations in China in 2003, with Shanghai being the first port of call. Since then, Qatar Airways has expanded to seven cities in Greater China, including Shanghai, Beijing, Guangzhou, Hong Kong, Chongqing, Chengdu and Hangzhou, with 45 weekly non-stop flights to Doha, connecting passengers seamlessly to more than 150 destinations globally. The Business Traveller China Awards are based on readers’ votes with the results authenticated by an independent auditing company. Readers consist of frequent travellers in China who cast their vote for the top airline and hospitality organisations in the industry. Voters base their selection on the strength of the airline’s customer service, its route network and services. Conducted for over 10 years, the awards have created an industry-wide benchmark for excellence in China. Besides continued success at the Business Traveller China Awards, Qatar Airways was also recently recognised as Best Full Service Airline in Western Asia at the Future Travel Experience Asia Expo, 2015, and Best Airline, Best Business Class Airline and Best Middle Eastern Airline at the Business Traveller Awards held in London last month. The airline also received the Airline of the Year, Best Business Class Airline Seat and Best Airline in the Middle East at the 2015 Skytrax Awards. This is the third time the airline has won the accolade of Airline of the Year.